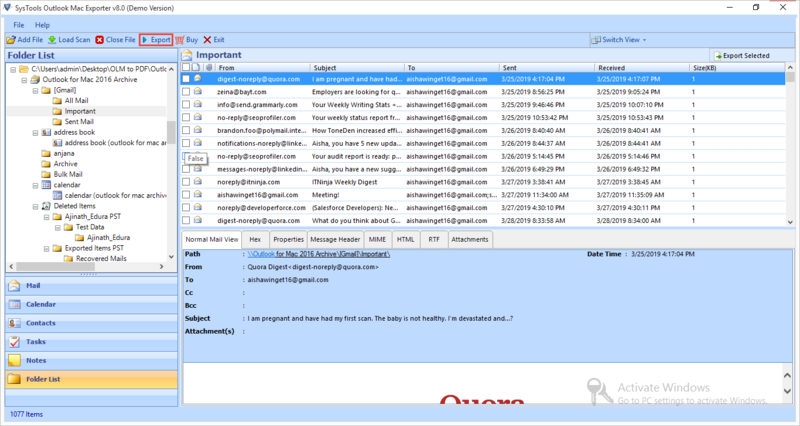 The software support conversion of entire olm file data like emails messages, contacts, notes and email attachments etc. User need to just download the software on host machine and then perform some easy steps and the tool will export complete folder into pst file format. Mac olm to pst converter software allows conversion of all emails with attachments such as images, documents, links, files, folders. You can attach as many attachments you want. There is no size limit for conversion and the olm converter ensure complete data migration to pst. 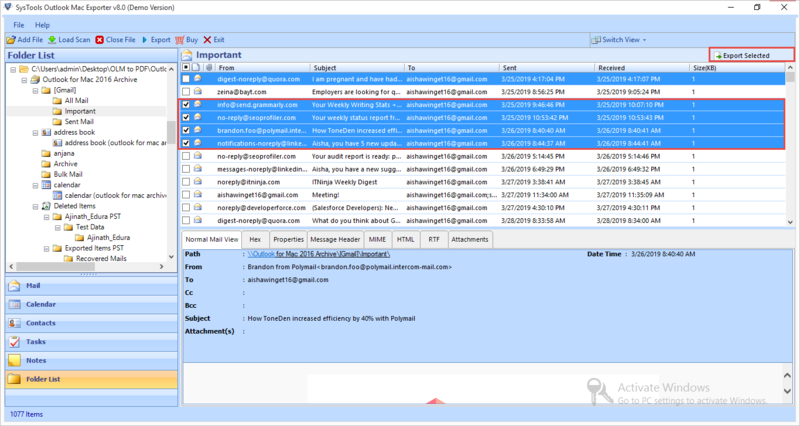 OLM converter Software generates the preview of all OLM file items like: calendars, contacts, tasks, Notes, and emails messages without any failure. 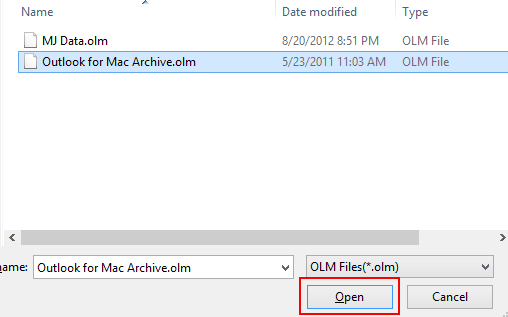 User can view entire olm file data before applying conversion process. This features enable user to include required files in conversion. From the preview pane user can select required files and folder only for the conversion. In this situation the mac outlook emails to pst converter tool will include only selected emails and contacts in the conversion process and the rest of emails will be excluded from conversion. This software provides auto splitting feature for resultant pst file. The software will automatically split after the given resultant pst file size limit. Limit size can be done manually as per your need. User can set the size limit according to their requirement. Switching of entire screen mode from horizontal to vertical is possible. It can be done any time while using the software, as per your convenience. Switching horizontal to vertical view is quite easy, simply click on Switch View from the Right side of software screen. Original structure of folder and sub folders remains same in the resultant outlook pst file. No data loss reported after the successful conversion. The same folder structure help users to extract data from the converted pst file. View entire folder and sub-folder same as in olm format. 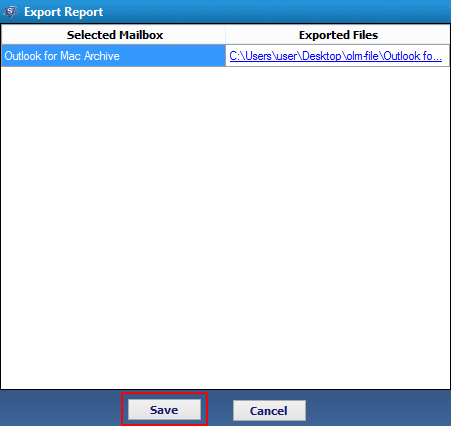 The mac outlook olm to ms outlook pst converter software generates conversion process report that includes Selected mailbox list and exported files list. Also it contains the location link of generated .csv file. 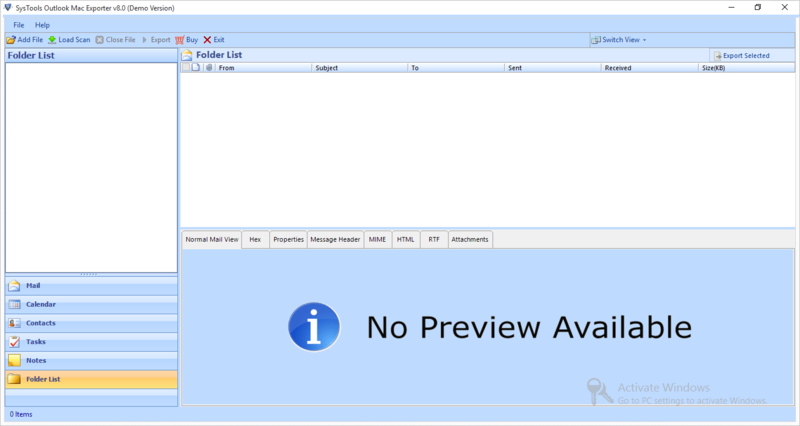 Here user can view details of olm file along with the resultant windows outlook pst file. Can I add multiple olm files for conversion? Yes, multiple mac olm files can be added at a time, even folders can be uploaded also. Does the tool rename duplicate files without overwriting them? 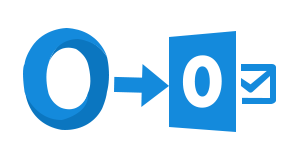 OLM converter software downloads attachments in their original format and if there are duplicates in it, then it will rename them instead of overwriting them. Does software convert corrupt or password protected OLM file? This is an efficient tool to convert olm file to pst format online. It will recover corrupt, password protected olm file and then convert into required windows pst format. Does the software support ANSI PST file format? Yes, software supports both ANSI as well as UNICODE format of PST file. It can even convert into an orphan PST file. 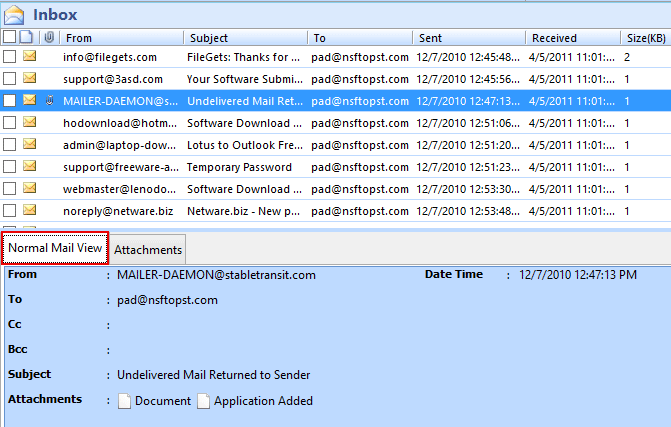 How can I see attachments of my Outlook email after converting it into PST format? The attachments can be extracted easily from the olm file into pst format. And then user can view attachments from the saved result location. Is the software is safe and secure for conversion? Yes, The olm converter software is safe and secure user can easily convert entire data in to pst format. To analyse working of software download free demo version of the software and then invest for it. Select the PST format radio button from the list and click on Export button. Here you need to Select Folder » Split PST (If required) » Brows Destination and at the end click on Export button. "Great experience with your technical team throughout the migration. Really helpful tool for the multiple olm file to pst format conversions. I exported entire data from mac olm file easily into windows outlook pst format. Totally satisfied with the working of the software. Thanks Team!!" "Recently I switched my job, so it was forced me to use ms outlook instead of using mac outlook. In this situation I need to convert all data from olm file to the windows outlook pst format. I used olm converter tool and exported entire data into pst format. Thanks to the development team."